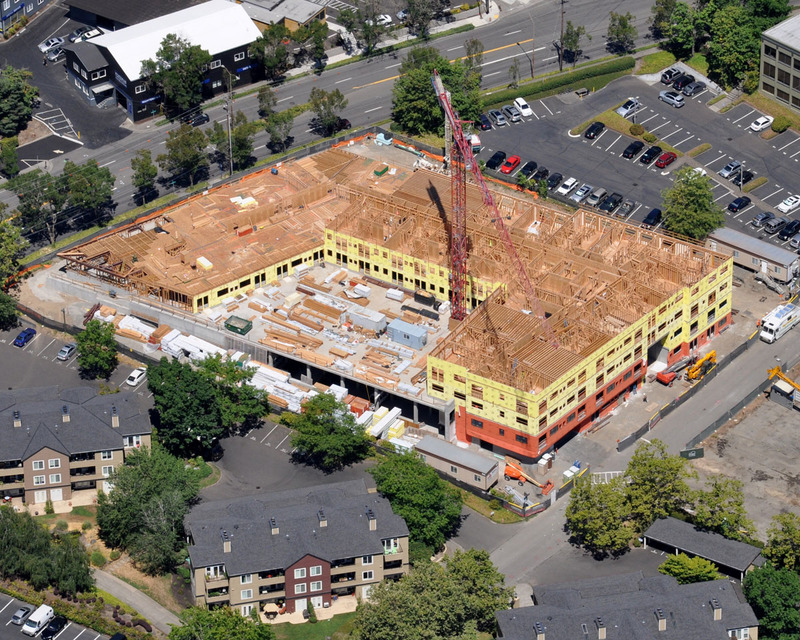 The project is being built on a site formerly occupied by the Willamette Athletic Club at 4949 SW Landing Drive. The previous building purpose built in 1982, however the club struggled with membership in its last few years. The building had been vacant for a number of years by the time of its demolition in late 2014. The seven story tall building will be arranged in a U-shaped plan, with a south facing courtyard for the use of residents. Along the south property line a new publicly accessible 8′ wide walkway will be created between SW Macadam Ave and SW Landing Drive. Where the parking garage faces onto the walkway it will be with a gabion rock wall. 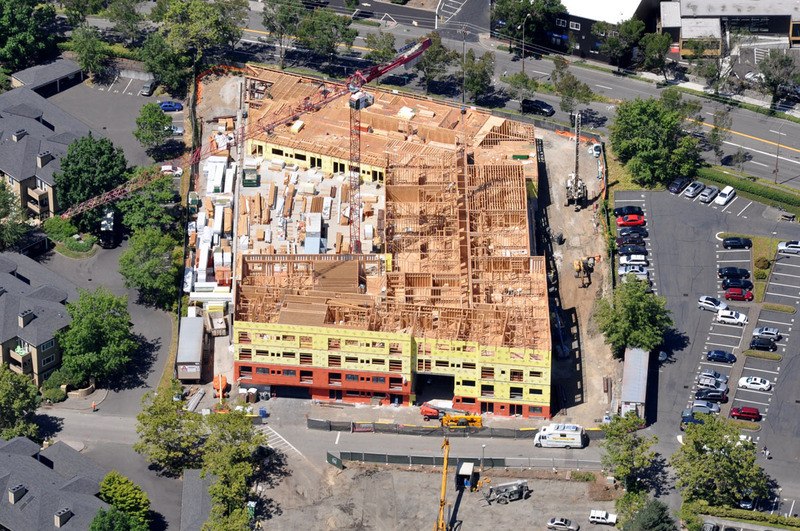 Other materials that will be used on the building include brick and stucco. 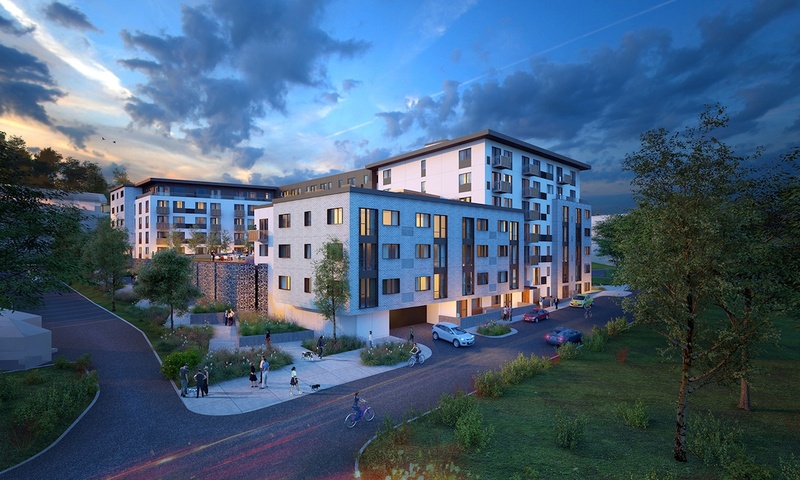 A press release by the developer notes the proximity of the site to the Willamette River, as well as the South Waterfront neighborhood a quarter mile to the north. 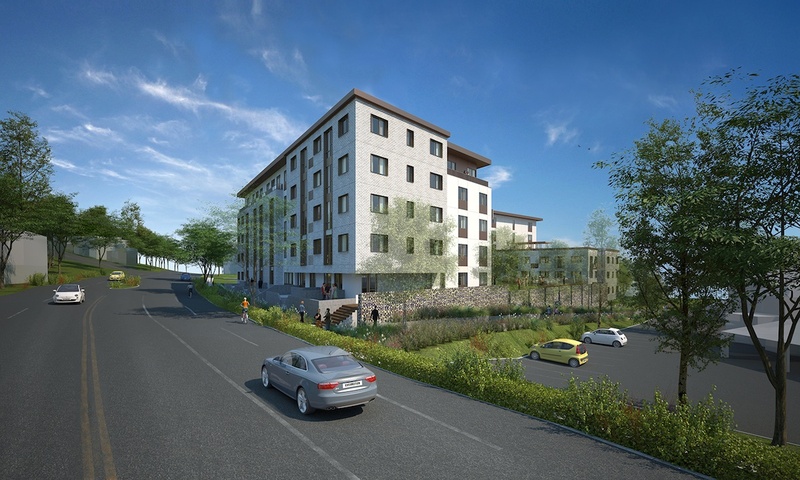 Amenities promised for Oxbow 49 include “thoughtful common areas including a fitness center complete with rowing machines and stall bars” and the ability for residents to rent paddle boards and kayaks. 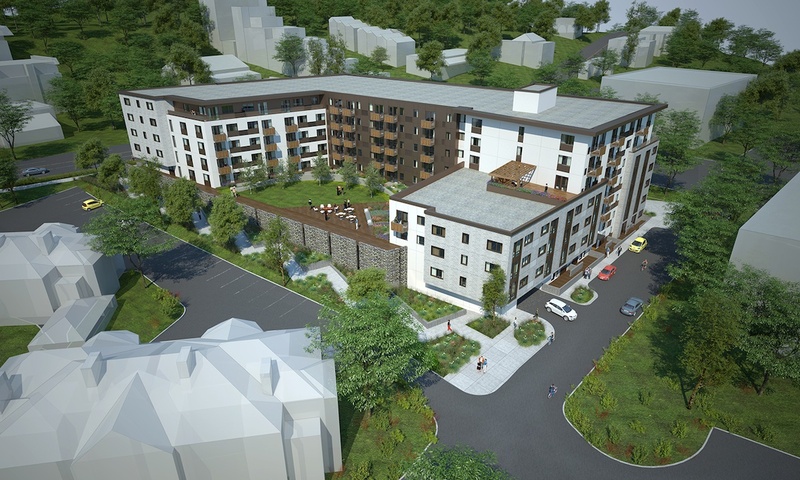 The proposed apartment building creates an urban, pedestrian-friendly environment along Macadam Avenue, meets the maximum transit street setback, and will not create a canyon-like environment. 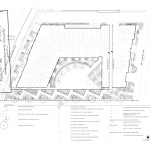 The building approximates the 200-foot block structure in the north-south direction, and mitigates for lengths over 200-feet in the east-west direction through the use of a south-facing courtyard, massing and planar shifts in the design, and a lowered building mass at the southeast corner. 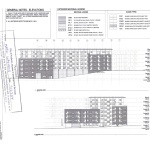 An excavation and shoring permit for the project was issued in December 2014. 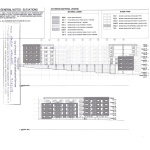 The Oxbow 49 apartments are scheduled for completion in February 2016, and potential residents can sign for alerts about the building at www.oxbow49.com. Photos courtesy of Guardian Real Estate Services. Taken July 2015. This entry was posted in GBD Architects, Guardian Real Estate, Oxbow 49, South Portland. Bookmark the permalink. Landing Drive is a major, somewhat hidden, connection to downtown for people biking in from SW and Johns Landing. When I was commuting in from Terwilliger/Barbur area it was how I would make it to work without risking my life on Barbur. I hope there is some thought on how to enhance the street itself (is it a public street?) as more development goes in.